When starting a new business, you need to establish a merchant account that will allow you accept and process payments. As a premier provider of superior business merchant services, AVPS has all of the information, tools, and tips to get your merchant account up and running so that you can start getting paid. 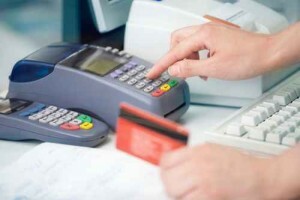 New Merchant Accounts? We can Help! So many of our monetary transactions take place in the financial world. Let’s say you accept a credit card payment. The money must go from your customer’s account, to the credit card company, and then back to you. This process is a lot more complicated and full of legal technicalities than you think, and without bogging down in endless details, you have to have a merchant account to accept credit and debit cards, as well as checks. When establishing a merchant account for a new business, you will need an expert partner to help you acquire your account, provide you with your payment processing equipment, and train you on how all of this works. Furthermore, if you are looking to establish a merchant account for a website, you will need help setting up your site to meet the industry standards of safety and security. As a provider of the most comprehensive merchant account solutions, AVPS uses our expertise to help new businesses navigate the complex world of payment processing. We believe that our mission is to educate our clients and provide them with a fundamental understanding of how their merchant account fits within their business models. Whether your business is still in the idea phase, or you are ready to move forward, contact us and let us help you with all of your merchant account needs.